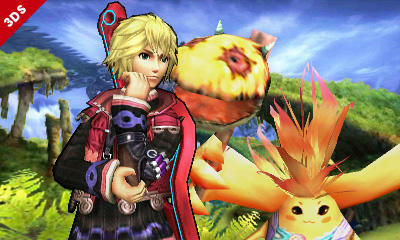 Shulk is a surprise guest from Monolith Soft's and Nintendo's critical home run Wii RPG, Xenoblade Chronicles. 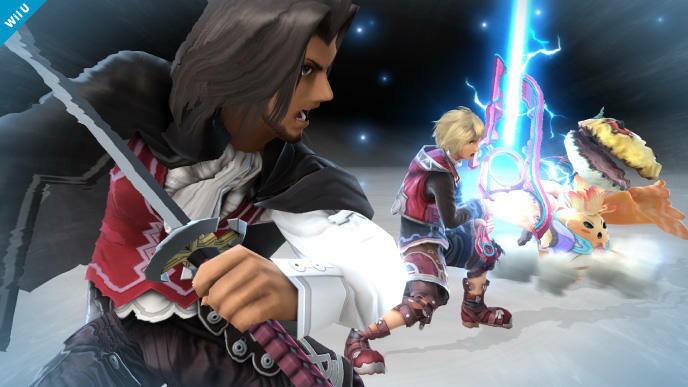 The wielder of the legendary Monado blade is the 38th character to join the roster, and despite his more recent conception, he is not a third party character like Mega Man, Sonic or Pac-Man. Nope, he is true Nintendo through and through in the same way that Kirby is a product of HAL Laboratories and Intelligent Systems develops Prince Marth's Fire Emblem series. Speaking of which, we have a perfect segway here. 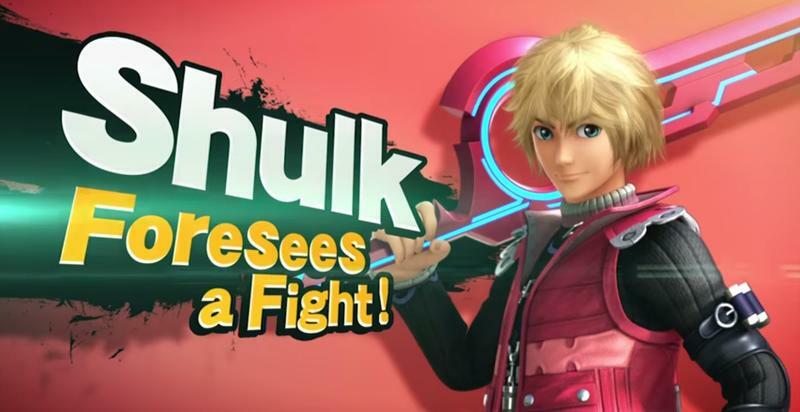 Shulk's reveal trailer is one of the best any character has seen to date. 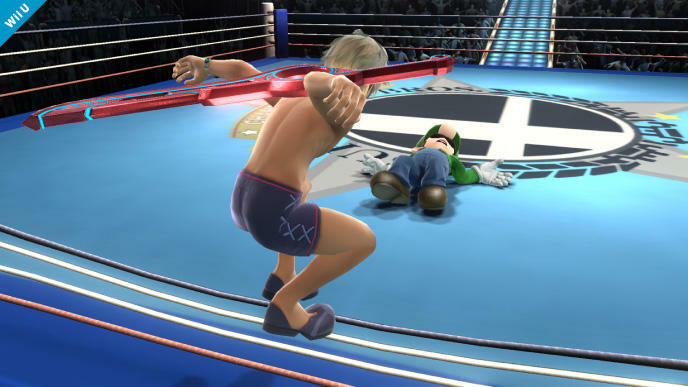 He shows up expecting a battle against Bowser in the gorgeous setting of Xenoblade Chronicles, but he gets more than he bargained for when both Prince Marth and Link jump into the fray. Luckily, his swordsmanship is up to par with the two legendary slingers, and he can hold his own in the "slowdown heavy" fight. And yes, Nintendo decided to keep his British localization as well. Xenoblade Chronicles was nearly infamously stepped over for American release despite having an English translation in the U.K. and Europe. Rather than spend tons of money recasting the game, Nintendo of America just used the British voice over work. Nothing wrong with it, but it really sticks out in the trailer if you know that story. 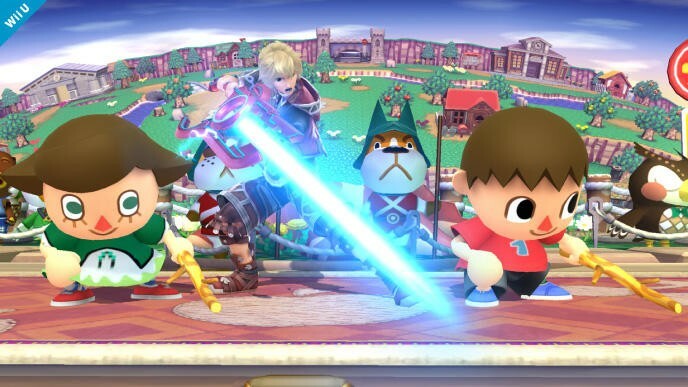 Director Masahiro Sakurai also explains in a Miiverse update how the character plays in battle. 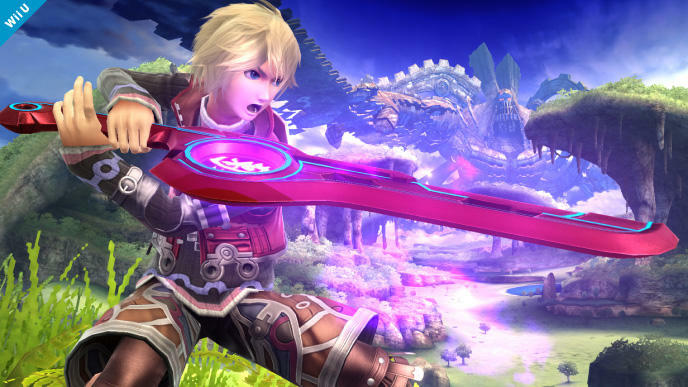 Shulk's sword, the Monado, slashes enemies with a beam when activated, so it can strike from long range. 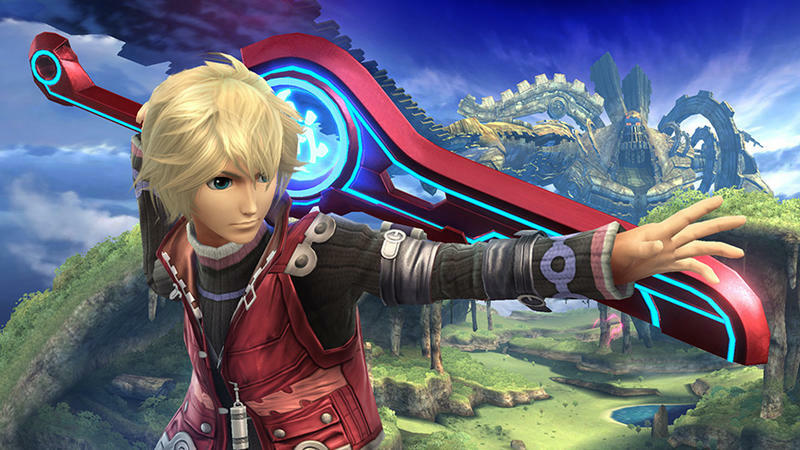 What really makes this weapon unique is that when the Monado Arts are activated, it can change Shulk's features and abilities! Emerge victorious in battle by changing your abilities strategically!! Long range sword swinging? I'm a bit more "in your face" when it comes to Super Smash Bros, and Little Mac still remains my most anticipated of the new characters. 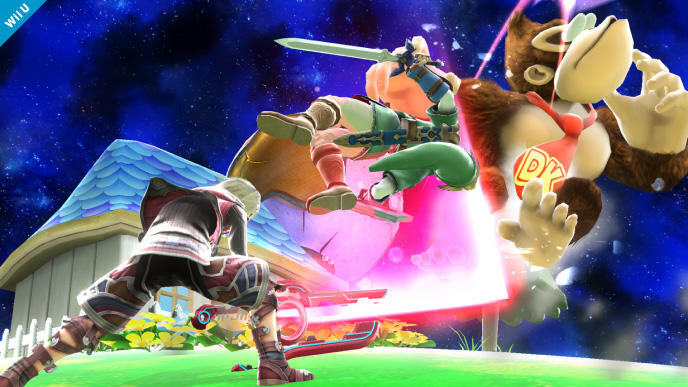 You can count Shulk up there pretty high, though. Wow, there are so many other angles to take with this reveal trailer as well. 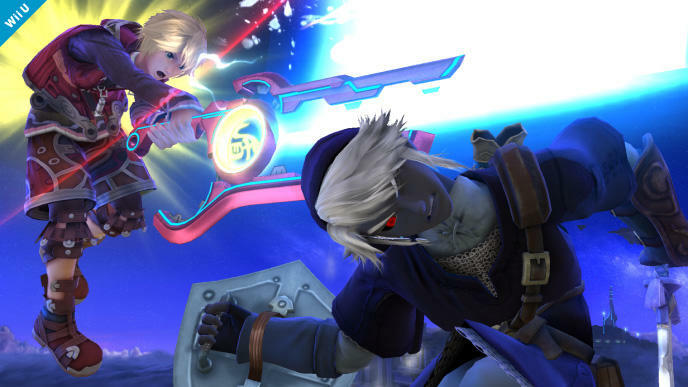 For one thing, Shulk was a centerpiece in last week's full roster leak, and if the videos and screencaps weren't enough, is his official confirmation enough to confirm it the leak's authenticity? He was certainly the least likely character of the bunch. 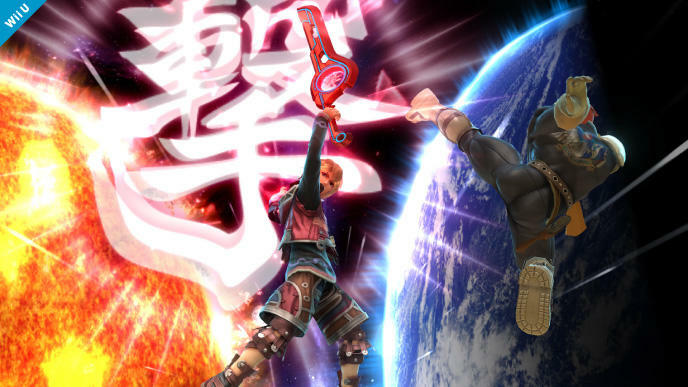 His announcement in Super Smash Bros. also coincides with the announcement that Xenoblade Chronicles will be made available for the New Nintendo 3DS. As much as I'd like to play it on the go and as much as I'd love the New 3DS, there really is no substitute for a huge HD television when playing this gorgeous game. You just have to drop $80+ for the rare American version to do so. 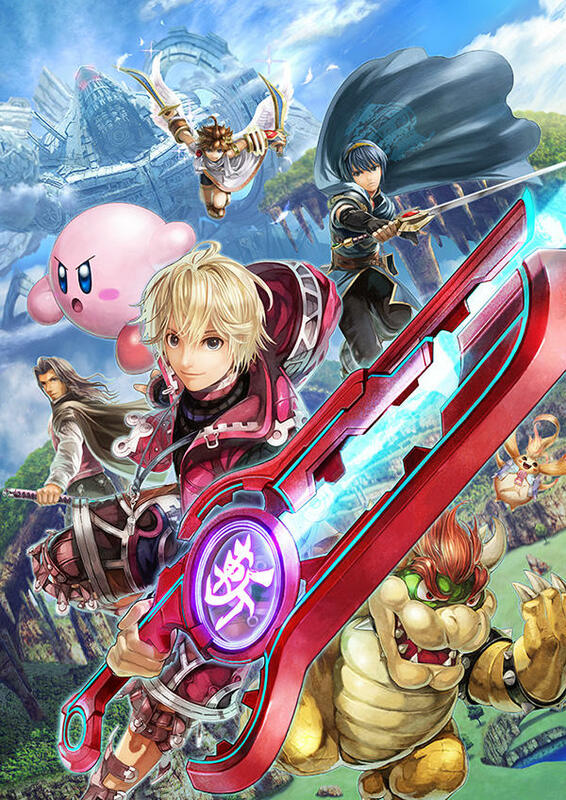 So yes, Shulk is an exciting announcement. Xenoblade Chronicles is clearly a property Nintendo wants to promote, and it makes sense now that the upcoming Xenoblade Chronicles X for the Wii U is bound to bring it all kinds of major RPG attention.